This small (2.7 to 3.4 mm) fly is an ant mimic. 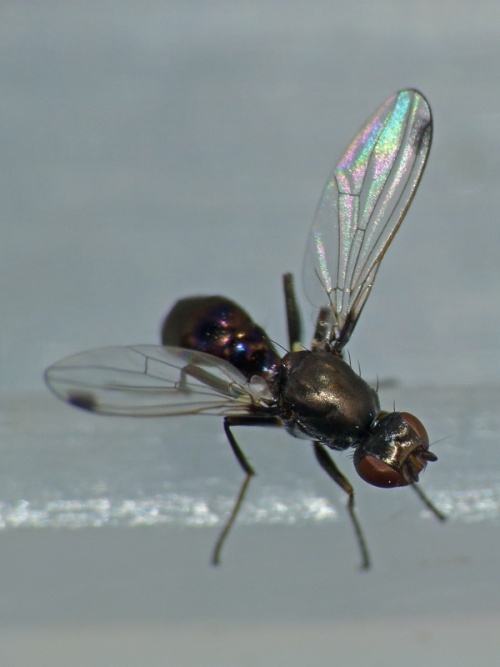 It has a very shiny dark body and each wing has a dark 'shade'. 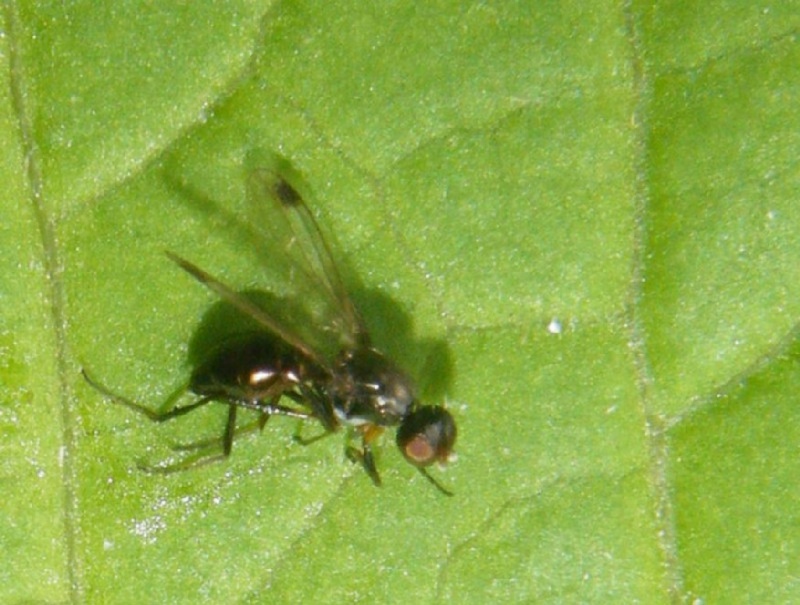 There are several similar species and accurate identification in the field may not be possible. 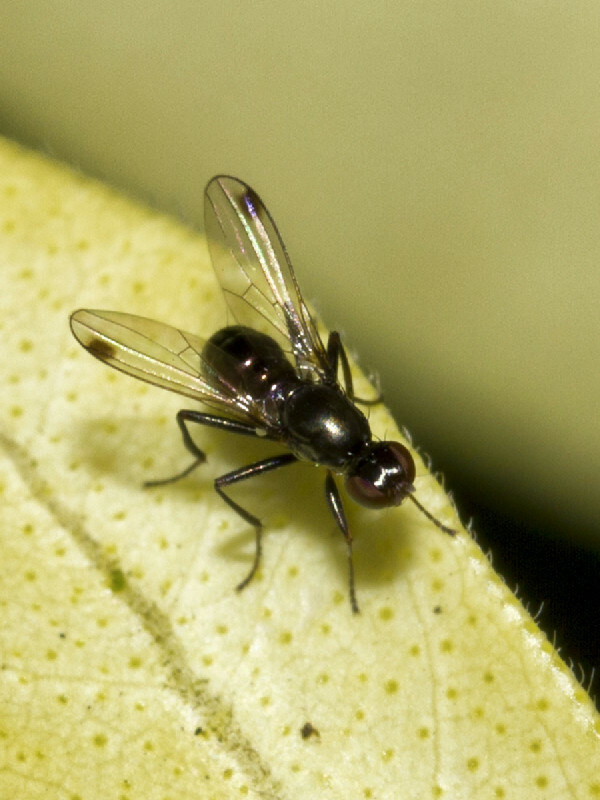 This fly is often seen visiting flowers on order to obtain a carbohydrate meal. But it is most often associated a variety of animal dung, particularly that of Cows and Horses. 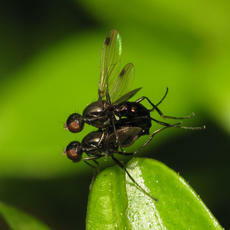 Often groups of these flies 'dance' on a leaf, waving wings and legs. Can be seen most months of the year. 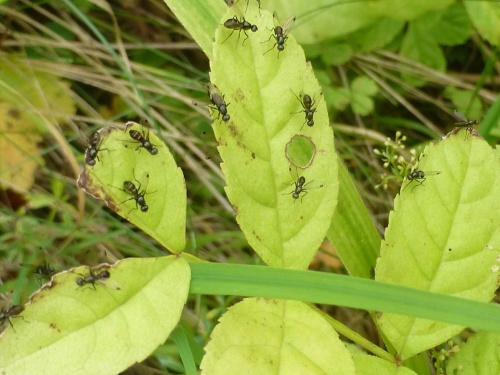 The female will lay her eggs on Cow or Horse dung and the larvae will feed on it. Male S. fulgens are often more common on dung, as it here that they will wait for the females. 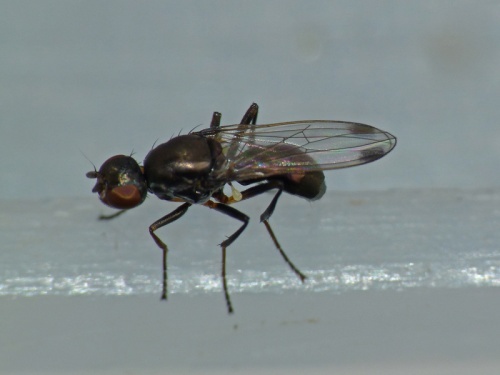 In fact, males are so keen, that they will very often mount any visiting fly that bares a slight resemblance to another Sepsis, including other males, but they will quickly dismount again when the error is apparent.